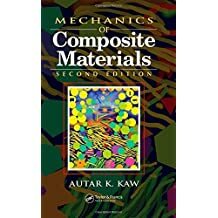 Autar Kaw is a professor of mechanical engineering and Jerome Krivanek Distinguished Teacher at the University of South Florida. He is a recipient of the 2012 U.S. Professor of the Year Award from the Council for Advancement and Support of Education (CASE) and Carnegie Foundation for Advancement of Teaching. Since 2002, under Professor Kaw's leadership, he and his colleagues from around the nation have developed, implemented, refined and assessed online resources for open courseware in Numerical Methods. 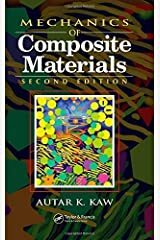 This courseware annually receives more than a million page views, 900,000 views of the YouTube lectures and 150,000 annual visitors to the "numerical methods guy" blog. In October 2014, he published the open courseware on Introduction to Matrix Algebra. Professor Kaw's has written more than 80 refereed technical papers and his opinion editorials have appeared in the St. Petersburg Times and Tampa Tribune. 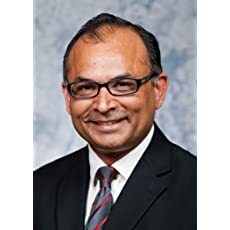 His work has been covered/cited/quoted in Chronicle of Higher Education, Inside Higher Education, Congressional Record, Florida Senate Resolution, ASEE Prism, Tampa Bay Times, Tampa Tribune, Campus Technology, Florida Trend Magazine, WUSF, Bay News 9, Times of India, NSF Discoveries, Voice of America, and Indian Express. Professor Kaw's main scholarly interests are in engineering education research, open courseware development, bascule bridge design, fracture mechanics, composite materials, computational nanomechanics, and the state and future of higher education. His research has been funded by National Science Foundation, Air Force Office of Scientific Research, Florida Department of Transportation, Research and Development Laboratories, Wright Patterson Air Force Base, and Montgomery Tank Lines. 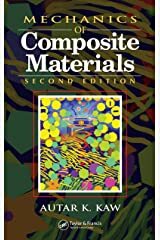 Professor Kaw has written several books on subjects such as composite materials, numerical methods, computer programming, matrix algebra, and engineering licensure examination. 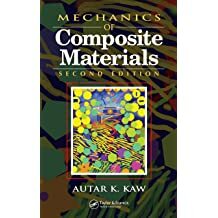 Professor Kaw is a Fellow of the American Society of Mechanical Engineers (ASME) and a member of the American Society of Engineering Education (ASEE). He has also been a Maintenance Engineer (1982) for Ford-Escorts Tractors, India, and a Summer Faculty Fellow (1992) and Visiting Scientist (1991) at Wright Patterson Air Force Base. the U.S. Professor of the Year Award from the Council for Advancement and Support of Education (CASE) and Carnegie Foundation for Advancement of Teaching (CFAT) in 2012, the National Outstanding Teaching Award from American Society of Engineering Education (ASEE) in 2011, the U.S. Florida Professor of the Year Award from the Council for Advancement and Support of Education (CASE) and Carnegie Foundation for Advancement of Teaching (CFAT) in 2004, the American Society of Mechanical Engineers (ASME) Curriculum Innovation Award in 2004, the Archie Higdon Mechanics Educator Award from the American Society of Engineering Education (ASEE) in 2003, the American Society of Engineering Education (ASEE) New Mechanics Educator Award in 1992, and the Society of Automotive Engineers (SAE) Ralph Teetor Award in 1991. The new 2019 NSF proposal guidelines effective February 25, 2019, have a change in how synergistic activities are reported. The change is described as follows. “Chapter II.C.2.f(i)(d), Synergistic Activities, has been revised to specify that a list should include up to five distinct examples that demonstrate the broader impact of the individual’s professional and scholarly … Continue reading "Synergistic Activities on NSF Proposals"
A two-year exploratory study conducted at the University of South Florida, and evaluated and assessed by the University of Pittsburgh, studied the effect of using adaptive lessons in improving pre-class learning in a flipped classroom. 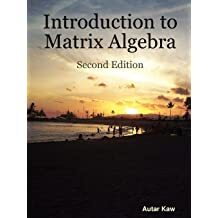 Many university STEM major programs have reduced the credit hours for a course in Matrix Algebra or have simply dropped the course from their curriculum. 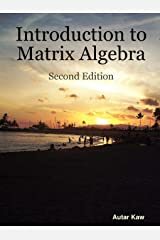 The content of Matrix Algebra in many cases is taught just in time where needed. This approach can leave a student with many conceptual holes in the required knowledge of matrix algebra. In this series of blogs, we bring to you ten topics that are of immediate and intermediate interest for Matrix Algebra.